Yesterday marked a step forward for transparent government in Missouri. The Missouri Treasurer’s Office announced the creation of an online checkbook that tracks how and with whom the state is spending our tax dollars. 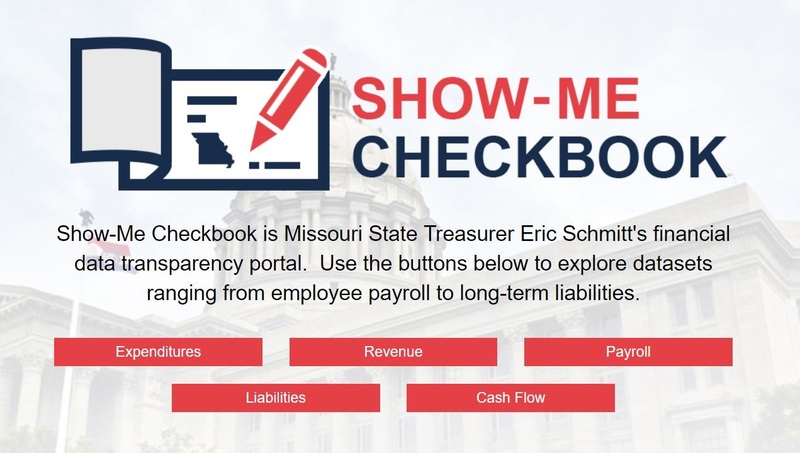 The Show-Me Checkbook can be found at https://treasurer.mo.gov/showmecheckbook . We are excited to see the state make transparency in spending a priority. Now that this tool is available, I hope that local governments and special taxing districts will join this initiative so that every tax dollar spent at all levels can be tracked by the taxpayers from whom the money comes (a goal SMI writers  have championed  with our Checkbook Project ). Government, no matter its size, should provide easy access to information about how it’s spending our money. Kudos to Missouri for taking a step toward greater transparency.